After flying multi-engine airplanes in college, today Lucas admits to owning more books than he has shelf space for. He’s a #1 bestselling author and a contributor to numerous publications like Addicted 2 Success, Good Men Project, and Thrive Global. 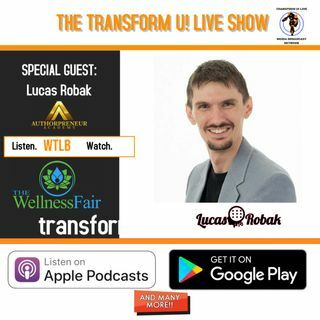 Lucas also has been interviewed on many podcasts and TV shows. In 2014 a diagnosis of multiple sclerosis (MS) empowered and motivated him to bring more value to the world. Within ten months Lucas become the organizer for The Wellness Fair within ... See More ten months and is also the president of The Health & Wellness Network of Commerce Southeast Wisconsin Chapter (HWNCC-SEWI).